Separate the cauliflower florets and keep aside. In a deep pan fill half with water and boil. When the water starts to boil add salt. Put the florets, and parboil them so that it does not lose its crunch. Take out the florets and put them in ice cubed water this way they will not turn mushy and retain their color and crunch. In a non stick pan add all spices and gram flour and maida except curd and make a masala and roast it on low heat. 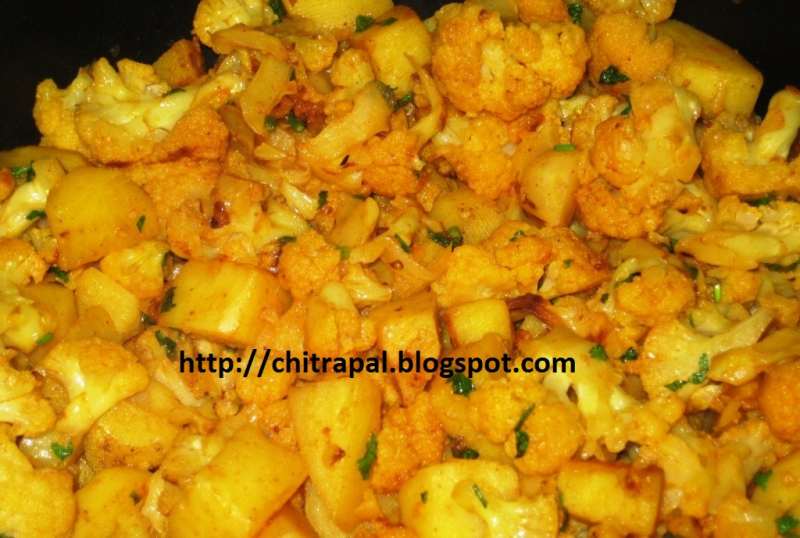 Now add curd to it and add the florets to masala and smear them properly. Put them in tray and spread them and bake it until golden brown. Garnish with lemon juice and chopped cilantro leaves. So guys we tried this today and it turned out very crispy and tasted so good. Thumbs up Chitra, hey Koyal Vicky you should try it too. Bakwas Koyal try it and you will know I am right. Will it be good without oil?